Turisas will be headlining Granito Rock Festival 2017, July 22nd in Villalba, just outside Madrid. And what’s best? It’s 100% FREE!! 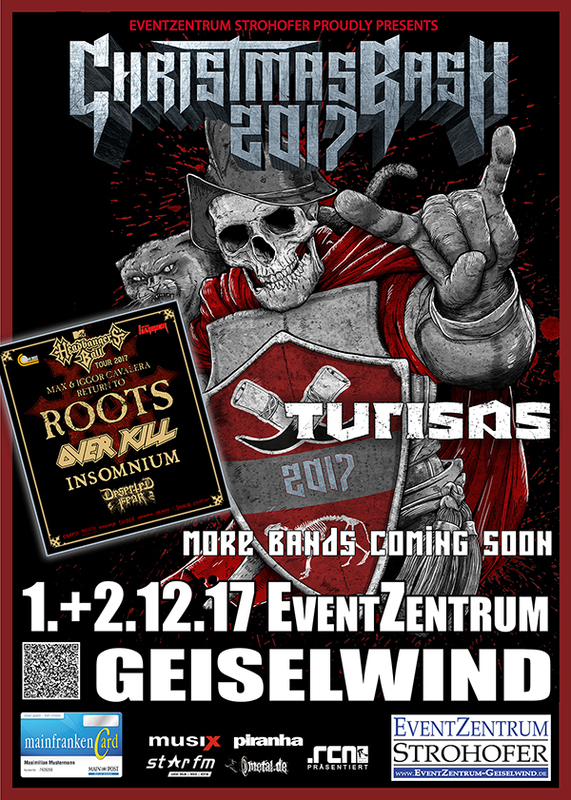 Turisas will be performing at Christmas Bash Festival 2017 taking place in Geiselwind December 1.-2. Bands confirmed so far: Arch Enemy, Overkill, Insomnium, MAX & IGOR CAVALERA and more!